Helping you make your already incredible designs even better is what motivates us to develop and share brand-new tools and features. With each and every update, we put the power of the most awesome new technology to work, improving lives through 3D experiences. 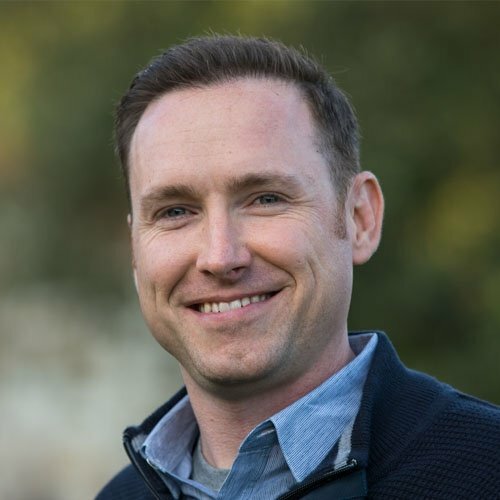 Fulfilling that promise to you is why we make sure each update includes beautiful features that will delight your clients as well as meticulous tools that will save you time. This year, with tips on how to map your client’s property quickly with your drone, tools to make designing decks and pergolas incredibly easy, and calculators that layout and measure even the most intricate custom designs instantly, each update focused on helping you create spectacular designs that are as precise as they are beautiful. Today’s update — with beautifully refreshed steps and benches, autocomplete options that make it easy to draw absolutely any shape, and 3D text options that help you personalize the finishing touches — gives you even more time-saving new tools, features, and updates to help you create stunning and precise designs for your clients. Check out the update video and see how today’s new tools will help you achieve spectacular results, faster. 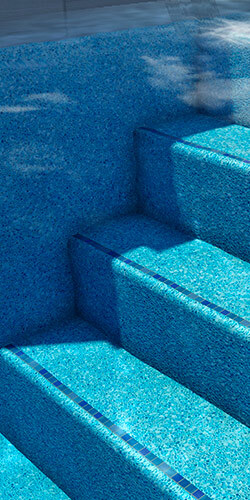 Give pool steps and benches a smooth edge with the new Rounded setting. A more realistic way to show steps and bencehs. 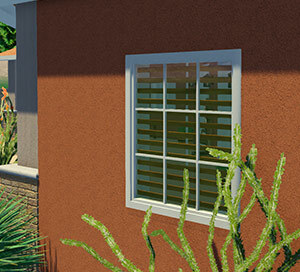 Whether you want to add a band of tiles or target tiles, you can now easily add new Trim Tiles. It’s easy to adjust the position, size, spacing, and rotation to make sure the finished results are just right. It’s easy to select a new material for the new trim tiles — you can even apply different finishes to the top and the face of each step and bench to create the look your client will love. 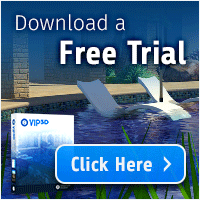 Now, you can save even more time with Pool Studio and Vip3D when you use the new Auto Pool Step to detect precisely how many steps are needed in any pool or spa — automatically. The new tool brings the powerful Staircase options to pool steps, making it easy to create a custom bench around the inside of your client’s spa, for example, without needing to draw multiple shapes. And if you Convert the shape after you draw it, it’ll be included in your Smart Data calculations, immediately ready for you. Want to see exactly how you can use these new tools to create gorgeous custom designs? Visit the Steps & Benches Blog to learn more — and to view the full tutorial video. Drawing even the most innovative shapes just got easier. With this update, the new Autocomplete setting gives you the power to draw shapes — like Steps & Benches — and then simply double click on the last point to complete the shape automatically. It works just like an automatic Outline tool: as you draw along an existing shape (like a step along a pool beam), a blue line will now appear. If you want to trace a portion of the autocomplete line, simply press and hold CTRL. Any shape, any stage: Autocomplete saves you time, making it effortlessly easy to draw exactly what you need. Just open the Snaps and Constraints menu to turn Autocomplete on (or off) — and draw the custom results your clients love. Adding engaging finishing touches to your client’s design is easy with new 3D Text options. Now, when you use the Text tool in 3D, you can add fully rendered 3D text to your design. Your text will appear as fully 3D models, ready for you to fine-tune — you can even double click each character directly to adjust its appearance. It’s a great way to add street numbers to your client's home or create personalized text for a sign. Steps & Benches aren’t the only surfaces you can quickly adjust with today’s update — you can also adjust the tops and faces of many other surfaces. Last update gave you the ability to adjust Custom Shapes and the sides of Houses. Now, you can use those same techniques to adjust even more shapes! Update the sides of hardscaping, change the interior and exterior of the pool and spa . . . even create completely new design elements. Simply select the shape and double click on the side you wish to adjust. It’s a great way to reveal incredible features to your clients, like glass walls for the pool — simply add an extra custom shape (or two) around the beam, and share the stunning results with your clients. No detail is ever too small, which is why we’ve updated the Callout Arrows in Construction Markup. You can now adjust the line style and color of the Callout Arrows independent of the text and border. Taking measurements outside the dimensions of a drawn shape is now possible with the updated Centerline and Triangulation tools. The new Excavation setting makes it easy to measure exactly what you need. Explore several new and refreshed furniture sets — including the Modern Aluminum, Teak Dining, Woven Sling, and Iron X Back sets — to create the inviting outdoor living design your clients will love. 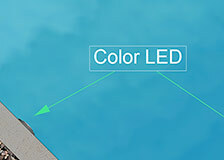 Add the perfect finishing touch to your client’s pool with new LED pool and spa lights, in white as well as exciting new color-changing options. Complete your client’s personalized space with new blinds, curtains, and shutters (in both white and wood options), ready for you in the Materials stage. Check out the 10 new shapes Vendor Partner Thursday Pools has added to the 3D library. Ready for what’s coming in 2018? Last year, we brought you Smart Data, True Shadows, and the ultimate presentation showstopper, Virtual Reality. 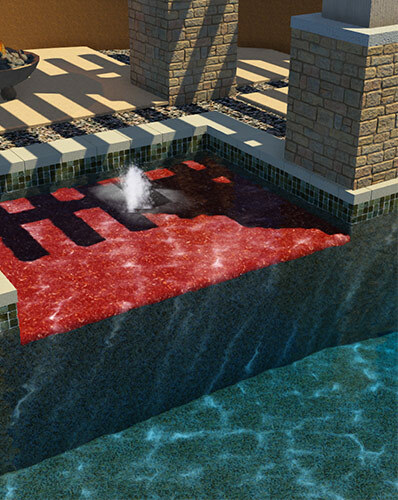 This year, we added the tools you can use to create custom pergolas and decks, generate 3D measurements, and layout even the most intricate pools and hardscapes in seconds. Want to see what 2018 will bring? We’re excited to show you! Subscribe and get the next update delivered straight to your inbox, instantly ready for you.